Vasyl Lomachenko intends to showcase 'Style Loma' against Anthony Crolla to preserve his plans to become the undisputed world lightweight champion. The Ukrainian star defends his WBA and WBO belts versus Crolla, the WBA's mandatory challenger, at the Staples Center in Los Angeles in the early hours of Saturday, live on Sky Sports. A three-weight world champion, Lomachenko plans to collect all the titles at 135lbs, although he voiced his respect for the Mancunian, who previously held the WBA title. For me, I always focus very seriously for all my opponents, so he's very dangerous, so I'm focusing. 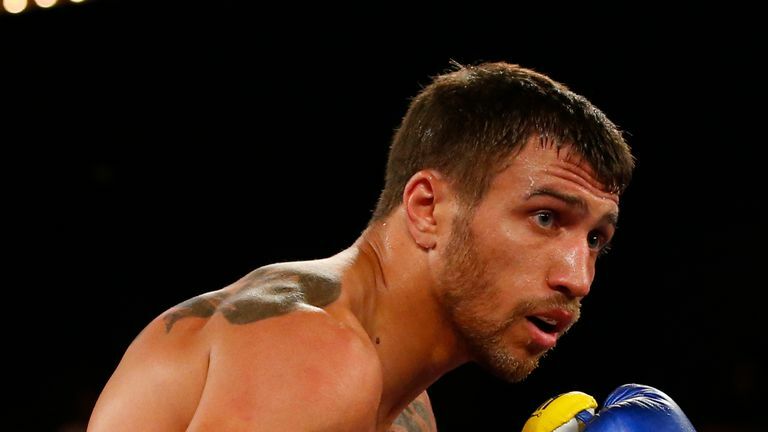 "He has very big experience, he has very good defence," Lomachenko told Sky Sports. "For me, I just need to show my best style and 'Style Loma', that's it. "For me, I always focus very seriously for all my opponents, so he's very dangerous, so I'm focusing." Lomachenko was forced to wait for a fight against IBF belt holder Richard Commey after the Ghanaian injured his hand, but hopes the bout can be staged later this year. "I want to unify all titles," said Lomachenko. "Maybe the next fight will be with Richard Commey. That will be his IBF, he's IBF world champion." Crolla remarkably claimed the WBA belt after recovering from serious head injuries he sustained while confronting a burglar, but admits a shock win this weekend would surpass all his achievements. 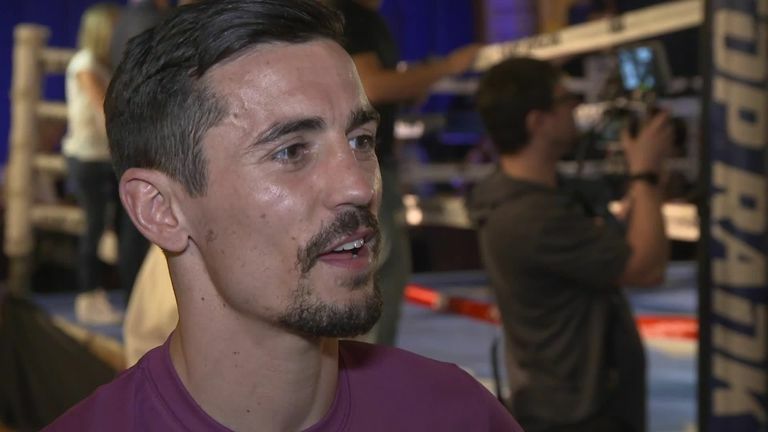 "I walk to that ring, nothing other than trying to pull off the biggest upset in boxing, and that's exactly what I'll be going out there trying to do," Crolla told Sky Sports. "I can't wait to have the opportunity to go and do that. I've prepared the best I possibly can to give myself the best chance of pulling this off. Can Crolla crack Rubik's cube? "Without a doubt, a life-changing moment for me and the team around me."